Public Health Minister, Dr. George Norton Monday could not rule out sole-sourcing of drugs and medical supplies, although he said the aim is to have open competitive bidding. Responding to questions from Dr. Frank Anthony, a medical doctor, during consideration of the 2016 budget estimates, he said no guarantee could be given that government would not purchase drugs from one supplier. “We cannot give that assurance,” the Public Health Minister said. 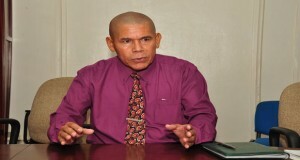 While in opposition, A Partnership for National Unity and the Alliance For Change had castigated the then People’s Progressive Party Civic (PPPC) administration for pre-qualifying New Guyana Pharmaceutical Corporation (NGPC) for the supply of drugs to the public sector. Government has allocated GYD$773 million in this year’s budget for the purchase of drugs and medical supplies. The Public Health Minister, under grilling from Anthony, acknowledged that drugs had been bought from one supplier during 2015. “There was a case where we did invoice in sole sourcing but that is a system we want to leave behind and go more toward equal opportunity,” he said. Norton said the aim was to shift away from the centralized procurement of drugs and supplies and shift towards regional procurement. In this regard, he noted that a costing exercise for each region has been completed to determine the types and amounts of drugs required based on the disease profiles and essential drug lists for each region.